You are here: Home / Healthy Eating / Why Organic? To buy organic or not? With more choices available than ever before, it can be overwhelming. You may also wonder if it’s really worth the extra cost. In this short guide, I have broken down for you what organic means when it comes to produce, as well as animal products. Put simply, if you see the “USDA Organic” or “Certified Organic” seal on your food, the item must have an ingredients list, and the contents should be 95% or more certified organic – meaning free of synthetic additives like pesticides, chemical fertilizers, and dyes, and must not be processed using industrial solvents, irradiation, or genetic engineering, according to the USDA. The remaining 5% may only be foods or processed with additives on an approved list. For fresh produce, the actual fruit or vegetable will have a sticker on it with a code, called a PLU, or Price Look Up code. Guess what? The first number in the code also tells you about how the food was grown. A 3 or 4 is grown with pesticides and is called conventionally grown. An 8 means that the produce is genetically modified (GMO). A 9 indicates that it is grown organically. In general, it is easier to find organic fruits and vegetables when they are in season, or from local Farmer’s Markets. So strawberries & tomatoes in January, harder to find, while winter greens like kale, no problem! You can also typically find vendors selling grass fed meats and dairy at larger farmers markets. 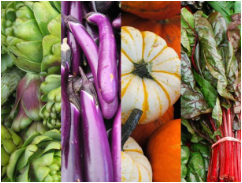 Click here to find a Farmer’s Market near you! as well as how to use them in your recipes! Are Pesticides Really That Bad For Us? Plants, insects, bacteria, fungi and other organisms are a natural and beneficial part of the environment, but some can be pests that you may need or want to control. This is where the pesticides come and play the role in controlling these pests. There are studies that have linked long-term pesticide exposure to increased risk of Alzheimer’s and Parkinson’s disease; prostate, ovarian, and other cancers; depression; and respiratory problems. There is also some research suggesting that adults and children living in farm communities could also be at risk for chronic health problems. Children are at most risk because of their metabolism. Toxins can remain longer in a child’s body, where they can do more damage. Pesticide exposure can affect children’s development at many stages, starting in the womb. For a better understanding, click here. The effects of glyphosate, a common herbicide, worsens the damaging effects of other toxins. It can be found under the commercial, name, Round-Up Weed Killer, as it is the active ingredient in this formula, along with the weed-killing Pelargonic acid and Imazapic. A few examples of foods containing glyphosate are peas, potatoes, lentils, bagels, and even corn (which is in everything!). Think of Round Up like an amplifier on a sound system. It amplifies the effect of other pesticides, especially when it comes to digestive and brain health. Glyphosates can affect the brains of children. Autism is a disorder that is on the rise, and glyphosates are increasing the chances of autism becoming present in children. The main toxic effects of glyphosate include killing the beneficial gut bacteria, allowing pathogens to overgrow, interfering with certain protein structures, breaking certain structures of minerals, and interfering with biological synthesises of the body. For more information, click here. Adults are also at risk with exposure to glyphosates. As mentioned above, increased risks of neurological defects resulting in Alzheimer’s and Parkinson’s disease, and even headaches. Exposure may also lead to neuronal cell death. Click here to read more in-depth studies and effects of glyphosates or here for a quick informative article of its effects. Glyphosate harms the digestive tract by killing gut bacteria. This causes pathogens overgrow, increasing the discomfort in the GI with constipation, diarrhea, irritable bowel syndrome (IBS), bloating, and may eventually lead to malnutrition. Unlike grass-fed animals, organic animals are fed organic feed that could include grain. There are times in which grass is not available to the animal, so the animal’s diet must be supplemented. The animals are not given antibiotics or growth-enhancing hormones. It is important that we are mindful of what the animals we eat, eat for themselves. Some animals are given antibiotics with their feed, and when we ingest a certain amount of it from the animal, we will eventually become immune to this antibiotic. With the topic of glyphosate, we understand that its’ harmful effects on plants can cause multiple negative effects on the human body. The animals we eat may feed off of these same plants, which further validates the necessary need to consume organic meats and dairy. Find more information here. What About No Added Antibiotic and Hormone Meats & Dairy ? Hormones – The labels “raised without added hormones,” “no hormones administered” or “no synthetic hormones” all mean that the animal received no synthetic hormones. Hormones are typically used to increase growth rate of the produce receiving the hormone. Antibiotics – “Raised without antibiotics” or “no antibiotics administered” means that the animal received no antibiotics over its lifetime. If an animal receives antibiotics for any reason, its meat, milk or eggs cannot be labeled “certified organic.” Antibiotics are typically used to prevent bacterial growth that may be harmful to the produce. If the dairy or meat is labeled Organic, then it was not raised with antibiotics, even if it isn’t labeled this way. When it comes to dairy (and beef) products, federal regulations permit the use of hormones. A synthetic, man-made hormone called recombinant bovine growth hormone (also known as rBGH or rBST) is a growth hormone commonly injected into dairy cattle to increase milk production. Several hormones are used in beef cattle to speed up growth as well. Consuming hormone-injected dairy may lead to diseases and even cancer. The American Cancer Society goes into more detail of the rBGH-treated milk, as well as All-creatures.org. Why Cows Get Antibiotics. Because the cows are producing large quantities of milk nature never intended, the end result is mastitis, or inflammation of the mammary glands. The cows are then required to be treated with the use of antibiotics, and traces of these and hormones and antibiotics have been found in samples of milk and other dairy products. Antibiotics in our dairy is not great for human health. By ingesting the antibiotic-injected dairy, our gut community will be disturbed, and may lead to unwanted antibiotic resistance. It may also cause unwanted weight gain, as these same antibiotics are one of the agents used to fatten up the produce! More info can be found here. Pasture is the grass grown specifically for the animals to feed off from. Not all pasture is organic. This refers to where the animal eats. Meat labeled grass fed means that the animals were allowed to forage and graze for their own fresh food. Unlike grain-fed animals, the emphasis is still on providing the closest thing to a natural diet for the animal as possible. This refers to what the animal eats. Pastured is also another way of saying that the animal is “free-range”, and has been able to forage for their natural diet, which includes seeds, green plants, insects, and worms. Pasture-raised eggs and chickens for example, were raised in open environments with very little limitations. Benefits of eating pastured products include a lesser chance of contracting harmful bacteria such as E. Coli and Listeria. Pasture-raised eggs contain higher amounts of Vitamin A, D, E, K2, B-12, folate, riboflavin, zinc, calcium, beta carotene, choline, and tons of omega 3 fatty acids, including DHA, EPA, ALA, and AA. The cleanest pork is typically pasture-raised, and is hard to source. At the very least, only buy pork that is antibiotic and hormone free. The highest concentrations of antibiotics and hormones are used in pig farming, and as these animals contain the most fat, which is where the residues of these drugs reside in the meat, eating pork products that are not antibiotic and hormone free is not recommended. Culture Club 101 *This is located locally in Pasadena! Typically referring to beef and lamb, grass fed animals are animals allowed to forage and graze for their own fresh food. The emphasis is providing the closest thing to a natural diet for the animal as possible. Meat can be labeled as “grass-fed”, however, this may not last the entire time of the animal’s life. Some animals can still spend its last 90-120 days on a conventional feedlot, by law, and still be labeled Grass Fed! The purpose is to add additional weight to the animal in which it will better marble its meat. Know that the conventional feed it eats includes pesticides from non-organic corn and soy feed (which is also typically GMO). To avoid this, buy meat that is grass fed and grass finished in which the animal has been fed pure feed its’ entire life. You can find them typically at Whole Foods, or if you are lucky enough to live in Pasadena, can buy it in store at Culture Club 101 . You can also purchase grass fed grass finished meat online at US Wellness Meats. It is shipped frozen overnight and is excellent quality. 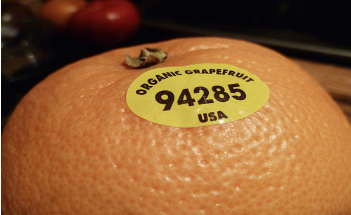 Is organic produce really more expensive? A study done at Whole Foods of comparing the price differences between a number of products showed that organic produce is only a fraction more of the cost of conventional products. For example, a pound of conventionally grown strawberries would cost $3.99, versus the organic choice of strawberries costing at $4.49 a pound. This would only mean buying a pound of organic strawberries each week would only cost you about $26 more than buying non-organic, per year. Other produce such as chicken presented with $2.49 per pound of the conventionally grown chicken, and $2.99 per pound of the organic chicken. If you were to buy four pounds of organic chicken each week would, it would only cost you about $105 more than buying non-organic over the course of a year. A full article of this independent study can be found here. 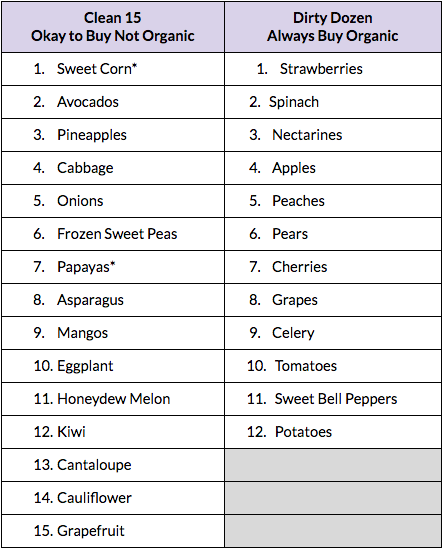 If you are on a budget, or don’t have the greatest access to organic food, below is a list EWG (Environmental Working Group) has made of fruits and vegetables to only buy organic (known as the “Clean 15”) and which are okay to buy conventionally grown (known as the “Dirty Dozen”). * A small amount of sweet corn & papaya sold in the United States is produced from genetically modified seeds. Buy organic varieties of these crops if you want to avoid genetically modified produce. In general, never buy thin-skinned produce that isn’t organic, as the pesticide seeps in through skin and into the flesh of the fruit. Click here for full access to a shopping guide provided by the EWG. This site also provide other resources, as well as an app you can download right on your smartphone. 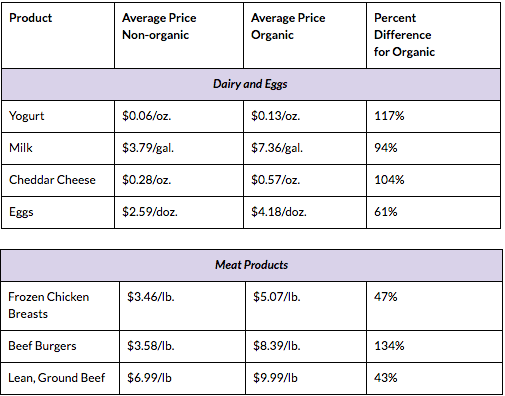 Below shows a general overview of the difference in cost in meat and milk products. Yes, the price difference for grass fed meat is higher. Antibiotic and hormone-free a little are a little more, but not as much. You can find a consumer report from 2015 here, and learn that organic isn’t always the most expensive choice. While organic is important in meat and dairy, antibiotic and hormone free is imperative for health, so focus here if you are on a budget, or don’t have a choice. Yes, it is more expensive in some ways to eat cleaner, more organic and more cleanly raised animals. No doubt. Consider this, though. What if you spent just $100 more a month on organic, grass-fed, and antibiotic and hormone free products, so $1200 a year? Someone with chronic disease, such as diabetes, spends this amount in just copays on their prescriptions and medical visits in a year! Paying a slightly higher price for quality food is like adding an extra insurance rider to your health, to prevent personal health care expenses later. Not to mention a decreased quality of life if you live out your final years with diabetes, cardiovascular disease or Alzheimer’s Disease, all of which have been linked to eating non organic food and animal products laden with hormones. Consider that 100 dollars more per month is usually just 2 restaurant meals out for two people, per month. Would you give up 2 meals per month dining out to have better food quality and more health in your years? A word on dining out as well- eating at home not only saves money, but you are guaranteed to know what is in your food. Americans have gotten out of the practice of cooking at home in the last 50 years. Did you know that the typical American eats 64% of their meals out? (Gallup, 2010). Unless the restaurant is advertising that they serve organic, pastured or grass fed foods, you can most assuredly know that they are not. Research also shows that organic produce was overall more nutritious than conventional produce. This is mainly due to the fact that organic produce tends to be sold locally, and it doesn’t spend days on end in a truck coming to your grocery store. Fresh produce loses nutrients within 2-4 days after being picked. Decide today to wake up to the reality of food quality and it’s effect on your health and make just a few small changes in your buying and dining out habits. Pay now or pay later. I for one would rather pay now for longevity, health and wellness. Would love to hear your comments on this article. Was it helpful? Do you eat organic, pasture raised or grass fed/finished meats? Post below and I will respond.